As its name suggests, the field of education and teaching focuses on the various techniques and methods employed to teach children and young adults across the country. This vast field is divided into countless branches, such as education administration, teaching, policy development, education research, early childhood education, secondary education and adult education. Professionals in this field are responsible for teaching children vital educational and social skills in addition to carrying out research work to devise more effective methods of instruction, proposing changes in the existing education system and developing public policies in education. After getting a high school diploma or GED, students need to enroll in an accredited 4-year bachelor degree in education. Both the school and the program must be accredited. After completing the bachelor degree in education, the student must get a license to teach. The licensure requirement for every state is different. Students could check the licensure requirements by getting in touch with the state’s department of education. The Associate of Arts in Teaching (AAT) is an undergraduate program designed to equip students with skills needed to become a teaching assistant or teacher in their state. This two year program will highlight fundamental teaching concepts and skills that are required for today’s competitive classroom environments. Students enrolled in this program will cover a diverse curriculum, which entails theoretical courses as well as field work. During the initial semesters, emphasis is laid on developing a solid foundation of teaching. Further in the program, more advanced topics are covered. The main objective of the program is to help students learn and apply teaching methodologies effectively in classrooms. Students who are unable to attend college due to various restraints can pursue the program online. A number of accredited schools are offering teaching degrees online. In online education, all or a portion of the coursework is covered online via videos, lectures and tutorials. Most states require teachers to have a bachelor level education. Students can choose from many colleges offering this degree, both on-campus or online. The program is comprehensively designed to prepare students for their teaching licensure examination. This four year program will cover all aspects of teaching and education. Students will learn how to effectively apply different teaching methodologies and manage modern-day classrooms. The coursework will highlight fundamentals of teaching and how the education sector has evolved in recent years. It is important that students have an understanding of child psychology and behavioral issues that they may face in classrooms as teachers. Through practical training, students will learn how to use different mediums and means of instruction. Remember that the exact curriculum may vary from college to college. It is also possible to pursue this degree online. Those seeking an advanced role in teaching and education will need a master’s level degree. This is a graduate level degree designed for teachers who wish to enhance their career prospects or specialize in a particular area of teaching. The two year program will focus on skill building and leadership roles. Students will build upon their expertise in teaching through theoretical and practical courses. The program will help students communicate more effectively in classrooms, use instructional technology for education, conduct research, evaluate different models of teaching, and devise curriculum that meets the educational needs of today. Many are pursuing this degree online, nowadays. Busy work schedules have made it difficult for many to study on-campus. If you are looking for a flexible and cost-friendly route to earning your master’s degree in teaching without having to compromise on your job, consider enrolling in an online program. This is a post-graduate degree awarded to students who demonstrate academic expertise and professional practice in this field. This program can only be pursued by students who have earned a master’s degree in the same or a similar academic discipline. Students enrolled in this program will learn how to conduct research for teaching and learning. The main components of the degree include coursework, research and completion of a dissertation. Students can also choose a specialization track depending on their career goals. Elementary education, educational leadership, social studies education and curriculum studies are few of the areas available for specialization. The curriculum may vary from college to college. You may also pursue this degree online from an accredited online college. A teaching degree can open doors into teaching positions at various educational levels. How long does it take to get education teaching degree? The answer to this question depends on the level of education you are planning on pursuing. What are some of the course topics in a teaching degree? What are the advantages of Pursuing Online teaching Degree? You learn quite a few skills after completing a degree in teaching. These skills can be utilized in several professions. This opens up a wide variety of careers graduates can choose from. According to an article published in Forbes magazine, post-secondary teaching jobs rank among the well-paying jobs in the field of education. The demand for teachers is expected to remain steady in the coming years. According to the US Bureau of Labor Statistics, post-secondary teachers made a median annual income of $62,330 in 2014, whereas elementary school teachers made $54,120. The income level is likely to vary from place to place and will also depend on factors such as degree-level, certification and specialization. The field of education receives special attention in the United States as it plays the most important role in developing our future generations. The Bureau of Labor Statistics estimates an increase of 16% in employment opportunities in this field through 2018. The Master of Education/Teaching can help you apply for advanced managerial teaching positions where you can give back to the community, and take part in defining our future identity. You could work as a curriculum designer, policy advisor, or school administrator at a variety of public and private educational institutes throughout the country. Q:Where can I find the best teaching degrees? A:Best teaching degrees are available at our website. Q:What are the additional prerequisites that foreign students have to comply with when applying for the Teaching Education Programs? A:The prerequisites of foreign students Teaching Education Programs include having strong SAT or GMAT scores, submitting half of the fees of the program and having a band of 7.0 or more in language tests like TOEFL. If you have been teaching in other countries, you may be eligible for some exemption, especially if you specialize in a science field. Q:What is taught in the Expressive Arts course in British Columbia Teaching certificate? A:In British Columbia Teaching certificate the students are taught a number of courses. One of these is Expressive Arts course. In it, the individual are taught how to create and manage curriculum for expressive arts, such as painting, music, dancing and theater. The students will lean to apply theories in practice and teach the young students how to be expressive. Q:What are some of the benefits associated with pursuing teacher education programs online? A:There are a number of advantages that are associated with pursuing teacher education programs online. One of the biggest advantage is that it gives students a chance to study at their own pace and convenience. This allows students to study without disrupting their daily schedule. The syllabus for online programs is very comprehensive with every topic discussed in detail. Students can also save money with online education as there are no travel and accommodation expenses involved. Prospective are recommended to search our website for more information. Q:Can you tell me what subjects to expect from bachelor's online Teaching Degree Programs? 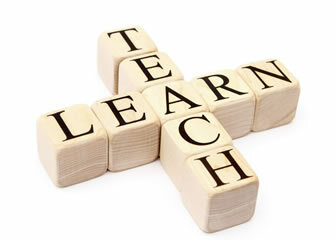 A:Teaching is a very complex field of work and requires the study of various subjects that cover a host of topics. Some examples of the subjects you might expect are the foundations for general education and professional success, university studies for success, mathematics for elementary educators, advanced structured English immersion methods, elementary student teaching, ethics and social responsibility in education, elementary methods: reading/language arts, mathematics, science, cultural diversity, children's literature and developmentally-effective learning environments etc. Q:How much can I earn with an Education Teaching Degrees? A:You can have many professions as an education degree holder. High school equivalency diploma teachers had an annual median wage (2012) of $48,590 and an expected job growth (2012-2022) of 9%. Kindergarten and elementary school teachers had an annual median wage (2012) of $53,090 and an expected job growth (2012-2022) of 12%. Q:What can you do with a teaching degree? A:With a teaching degree, you can work as a teacher in schools and colleges. You can choose to become a high school teacher, an elementary teacher, or even a university professor. The educational requirements will vary for each career path. However, a teaching degree is not just limited to a profession in teaching. While it is the most common career path for students of this degree, there are other jobs you can qualify for with a teaching degree as well. For example, one can seek teaching or public speaking roles in nonprofit organizations, work as an editor in publishing agencies, work at administrative levels in organizations such as the US Department of Education, and more.